SNIPPITS AND SNAPPITS: CARGILL AND OTHERS BEHIND ANTI-ORGANIC "STANFORD STUDY"
I rather like knowing who grew my food but that is not a necessity. 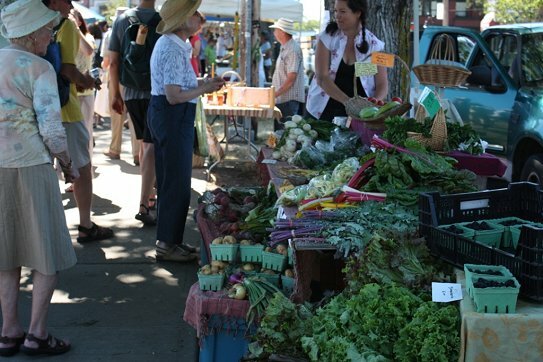 This photo is from the popular local Moss Street Market where, from May to November, I do much of my own organic food shopping. IS RAISING ITS FILTHY HEAD AGAIN. “What makes something good or bad for you is the actual content of the product. And being organic isn't anything special. 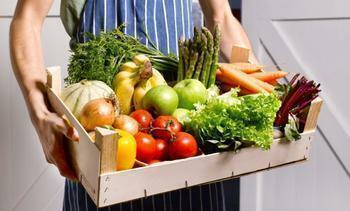 Organic is simply a new way to charge people more for lower quality. But people are always big on branding, especially if it costs more money and makes their lives worse. And so we have now branded some foods as organic and all others somehow aren't organic. Can anyone really believe this blather? Amazing! How can intelligent people be so stupid? Last night the local news announced that in the upcoming broadcast they would be doing a special on natural versus organic foods and the definite tone was that the organic food option was not necessarily the better choice. I do not spend much time watching the news so I did not see the broadcast but found several articles making these claims by the US that there was little to no difference between the two, the difference in price was not a necessary expense, the toxins etc were not enough to be harmful. When I saw that lead in to the news I thought …. I wonder who is paying big bucks for this nonsense and misleading information. It has to be a Monsanto type company. And here we are, the truth comes out from Tony Cartalucci. it is a coordinated propaganda campaign. Whether or not readers of the Telegraph will put their own health and that of their children at risk for the sake of protecting big-agri's bottom line and the faltering paradigm that big-agri products are safe for human consumption simply because Harry Wallop thinks it’s good to feed his baby with pesticide-sprayed carrots remains to be seen. This most recent anti-organic food campaign began with a Stanford study (and here) out of its Center for Health Policy (a subsidiary of Stanford's Freeman Spogli Institute for International Studies), examining the nutritional value of organic food versus non-organic. Food with pesticides on it had nearly the same nutritional value, the study claims, as organic food ~ completely skipping over the whole point of eating organic. Indeed, the nutritional value would be similar ~ but the entire point of eating organic is not because of vastly superior nutritional value, but to avoid the "extras" included with products from big-agri corporations. 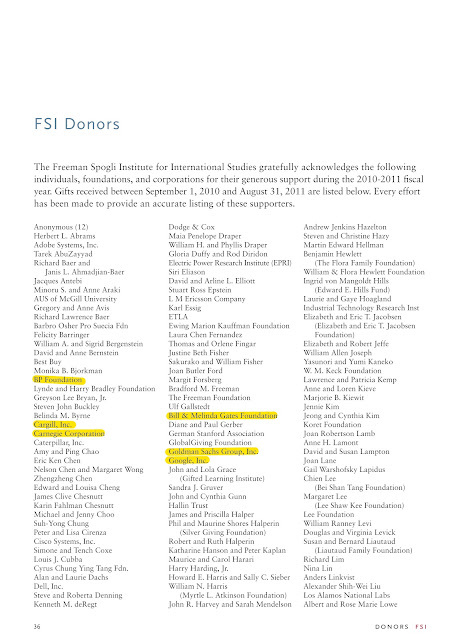 According to FSI's 2011 Annual Report (page 38, .pdf) Agricultural giant Cargill, British Petroleum (BP), the Bill & Malinda Gates Foundation (heavily invested in both Cargill and big-agri giant Monsanto), the Ford Foundation, Google, Goldman Sachs, the Smith Richardson Foundation, and many other corporate-financier, Fortune 500 special interests. 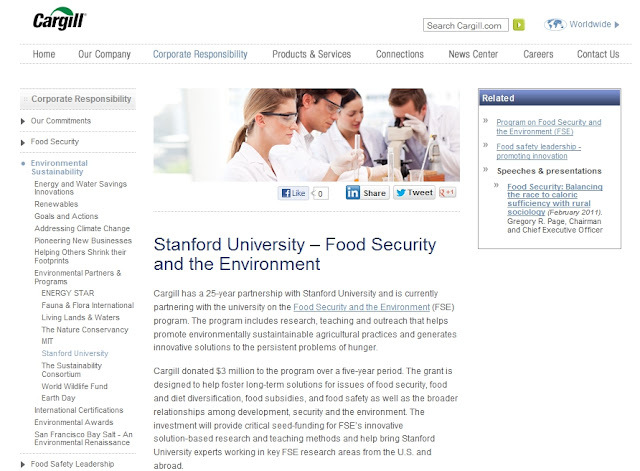 Image: From Stanford's 2011 FSI Annual Report (page 38, .pdf), of which the Center for Health Policy is a subsidiary, is funded by Cargill, the Bill & Malinda Gates Foundation (heavily invested in both Cargill and big-agri giant Monsanto), and a myriad of other Fortune 500 corporate-financier special interests. 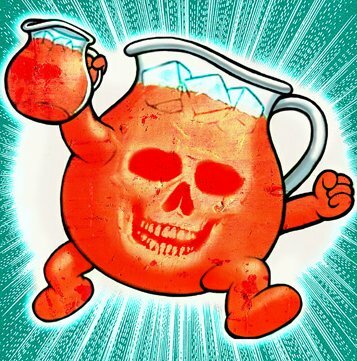 The report at face value is throwaway propaganda, but its funding reveals a more insidious, coordinated effort to manipulate public perception, stretching across academia, mass media, government, and big business. That none of this is mentioned, and the lack of independence and transparency involved in the study and its presentation to the public, overturns the credibility of both Stanford, and the Western media machine that so eagerly shoveled the results out to the public. 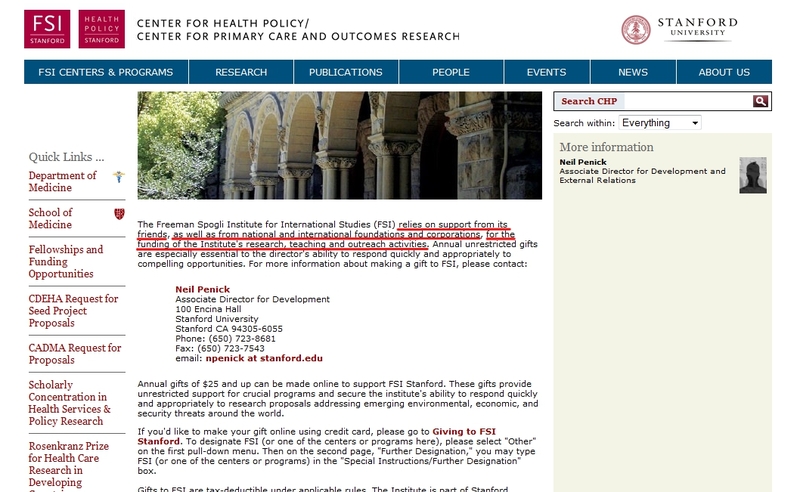 Combined with the fact that the study itself is flawed, and the concerted, disingenuous nature with which it is being promoted to the public, a premeditated public relations campaign, bought and paid for by Stanford's FSI sponsors, most notably Cargill and the Bill & Malinda Gates Foundation is self-evident. Quite obviously, one should continue eating organic. Additionally, the duplicitous nature exhibited by academia, the mass media, and the vast corporate interests overtly driving them both, demands from us to redouble our efforts at implementing full-spectrum boycotts aimed at big-agri as well as other Fortune 500 corporate-financier monopolies. This includes other processed food makers such as Pepsi and Coca-Cola, Kraft, and the myriad of subsidiaries they maintain. Freedom and self-determination come from economic independence, self-reliance, and self-sufficiency. The most fundamental form of economic independence is having a safe, secure, and local food supply operated for, by, and of the people. Cementing this emerging paradigm, in spite of the crass, juvenile, even criminally irresponsible editorials like that of the Telegraph's Harry Wallop, and multimillion dollar "studies" subsidized by Cargill and the Bill & Malinda Gates Foundation, is the first step on extending this paradigm shift to other areas required for maintaining and advancing modern civilization. the eugenecists like bill and melinda are planning and making models of near future that will require the elimination of large portions of the Earth's population.